At least eight people have died while 24 others have been injured by wild animals in Lamu County in the past one month following the ravaging drought that has caused a rise in human-wildlife conflicts. Lamu County Kenya Wildlife Services (KWS) Senior Warden Jacob Orale has confirmed that the deaths and injuries were reported late January and February 2017. Addressing journalists in his office on Thursday, Mr Orale said human-wildlife conflict is on the rise in the county especially in areas hardest hit by drought. He said due to the ongoing drought, most water points including dams, swamps, lakes and rivers that were being used by wild animals have dried up leaving the animals, especially hippos and buffaloes, helpless. He said many have since resorted to roaming in villages in search of water and food. Villages mostly affected by the increased human-wildlife conflicts include Mkunumbi, Hindi, Ndeu, Kibaoni, Nyaatha, Pandanguo, Shee Mgambo, Bar'goni, Basuba, Kwasasi, Lake Amu and Lake Kenyatta in Mpeketoni. Mr Orale also said it is unfortunate that scores of wildlife have also died due to the prolonged drought and called for interventions from conservation bodies, government and non-governmental agencies. "We are worried by the current drought situation in Lamu. This has contributed to increased human-wildlife conflicts which is almost getting out of hand. 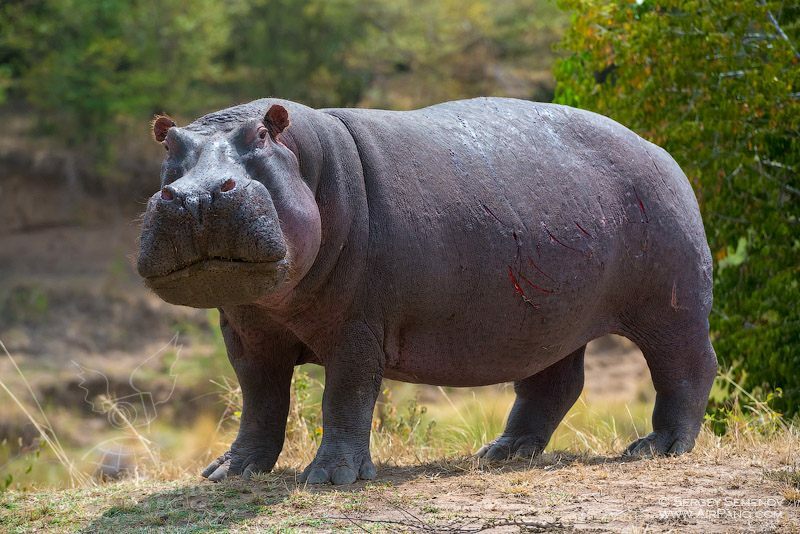 "We have lost at least eight people while 24 others have been injured by buffaloes and hippos between January and February. "The situation is even getting worse as the drought continues to bite. We have had several incidences of animals invading water taps and bathrooms in homes in search of water. "We have also experienced more than 20 hippos dying in Lake Kenyatta, Lake Chomo and other areas of Lamu. We need urgent intervention," said Mr Orale. He also attributed the rise in animal attacks in Lamu to the careless clearing of forests and bushes especially in areas intended for mega projects like the Lapsset corridor project in Kililana and Mashunduani, the proposed coal power plant at Kwasasi in Hindi Division and also areas around the proposed wind power project in Mpeketoni. He urged locals to desist from settling close to wildlife habitats in order to avoid attacks. "Those areas were originally the main animal habitats. People have already invaded [them] and cleared the bushes without considering the wild animals. They no longer have a place to hide," said Mr Orale. Residents of Hindi and Mpeketoni who spoke to the Nation said it has become difficult for them to carry out activities such as farming since the hungry animals have invaded their farms and even go to search for water in their homes. They called on KWS to contain the wild animals. Kilimani Primary School headteacher, Mr Sowii Bonam, told the Nation that the roaming animals have made it difficult for pupils to attend classes on time. "We have cases of increased absenteeism among pupils who fear being attacked by wild animals who at times are found roaming in the school compound and [along the roads] in search of water. "Our pupils are forced to come to school late to avoid being attacked by the animals early in the morning," said Mr Bonam.